Queensland Sheet Metal Ceiling Battens are made with a combination of high strength and rigidity and are low weight and inexpensive. Ceiling Battens are compatible with all major domestic ceiling boards, which makes them an economical, easy to use and versatile solution. The steel construction of Ceiling Battens will help control timber rafter movement, which will assist in preventing the plasterboard ceiling from cracking. Queensland Sheet Metal Ceiling Battens are manufactured from high quality Australian steel that delivers superior strength and durability. Ceiling Battens are supplied in 6100mm lengths for easy handling and storage. Fasten the ceiling batten at every support with a 12×25 T17 screw (minimum fixing size) through each flange. Fasten the ceiling batten at every support using a 10×16 SDS screw (minimum fixing size) through each flange. Fasten the plasterboard to the ceiling batten according to the plasterboard manufacturer’s specifications. Note: Queensland Sheet Metal ceiling battens should not be walked on. For additional information refer to Steel Selection & Use. * Maximum span continuous over at least two spans. 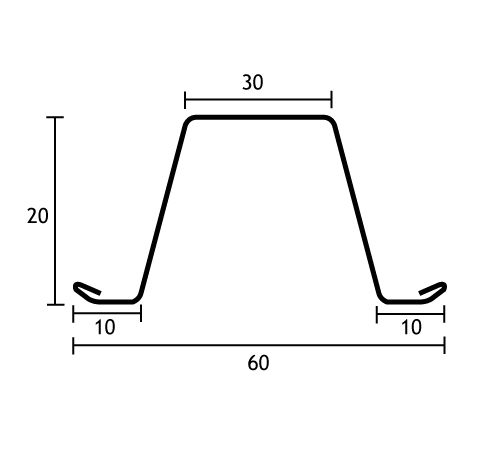 Note: The maximum span and spacings shown allow for a plasterboard thickness of up to 13mm. Refer to the appropriate manufacturer’s specifications for details on the ceiling installation.